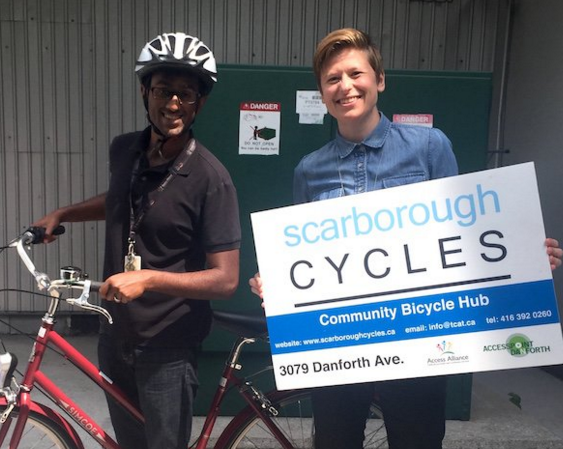 The Metcalf Foundation published a fantastic profile of TCAT’s Scarborough Cycles project. “On October 8, City Council voted to install bike lanes on Woodbine Avenue. As the first separated bike lanes east of the Don Valley Parkway, they’ll soon provide a safer cycling route connecting the edge of Scarborough with downtown Toronto.